Rancho Santa Fe Security Systems offers a variety of security systems that can be customized to meet the individual needs of your home. We understand that no two situations are alike and will work with you to create a system that takes your needs into consideration. 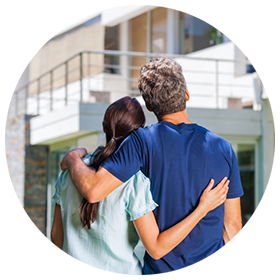 The size of your home, the presence of pets and children, and even your home’s location are all factors that determine the type of system that will best suit your needs. RSF security systems also use cellular technologies to communicate with our central monitoring station, eliminating the hassle and expense of a landline, and better fitting today’s mobile lifestyle. 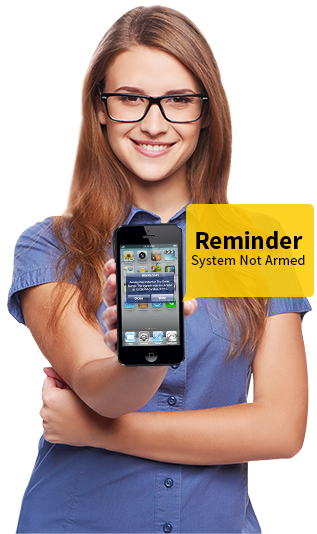 As an authorized Alarm.com dealer, we offer the best security products available on the market, and the ability to control them all from the palm of your hand via the Alarm.com app! Our systems give your peace of mind by providing intruder detection with state-of-the-art hardwired and wireless security alarm systems beyond the basic features of a main control panel, and control keypad. Alarm.com seamlessly connects the devices in your home for an integrated smart home experience, and the app leverages the unique features, form factor and intuitive design of Apple Watch to create new ways to connect you to your smart home. Designed for Apple Watch's quick and light interactions. Controlling devices across your smart home, like the security system, locks, lights, garage door and thermostats is simple and intuitive. Glances give you a real-time view of what's happening around your home. Customized alerts let you know about important activity around your property with just a quick glance at your Apple Watch. Right from your wrist, you have an instant window into your home. A Rancho Santa Fe Security system is an effective deterrent to both burglary and intrusion. So effective, in fact, that your insurance company may provide you with a discount of up to 20% off your homeowner’s insurance premiums once your alarm system has been installed.